Solfeggi, or studies in melody, were central to the training of European court musicians from the late 1600s until the late 1800s. 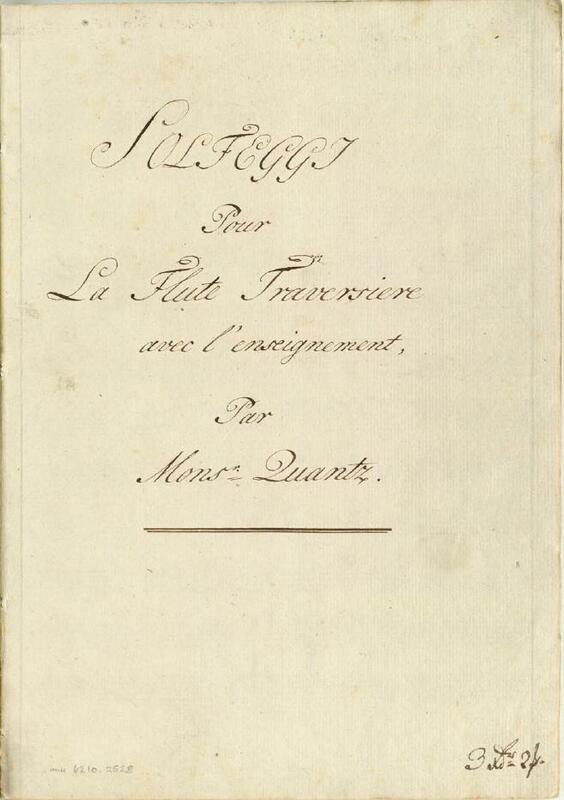 The “Solfeggi” is a kind of practice notebook and contains extracts from flute repertoire annotated with detailed instruction for performance. It can be considered as a unique source of Quantz’s teaching method. 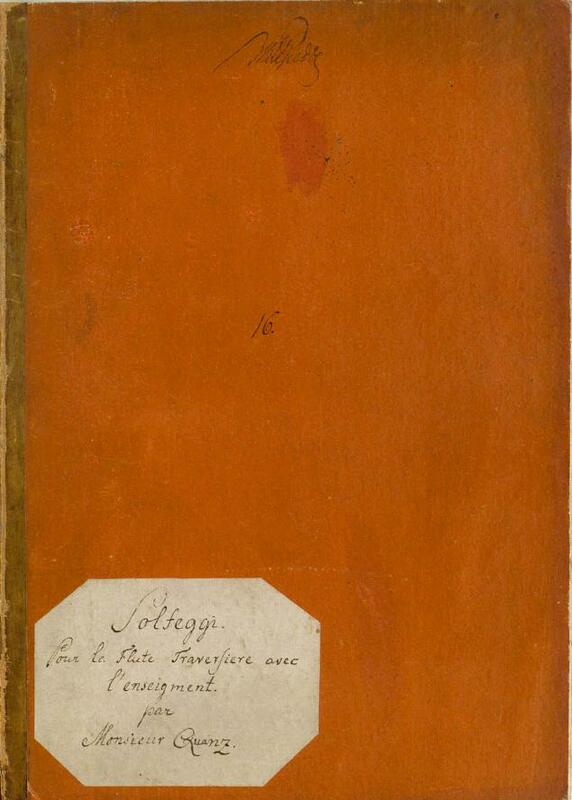 The solfeggi were written by hand and were not openly published in the 18th century. 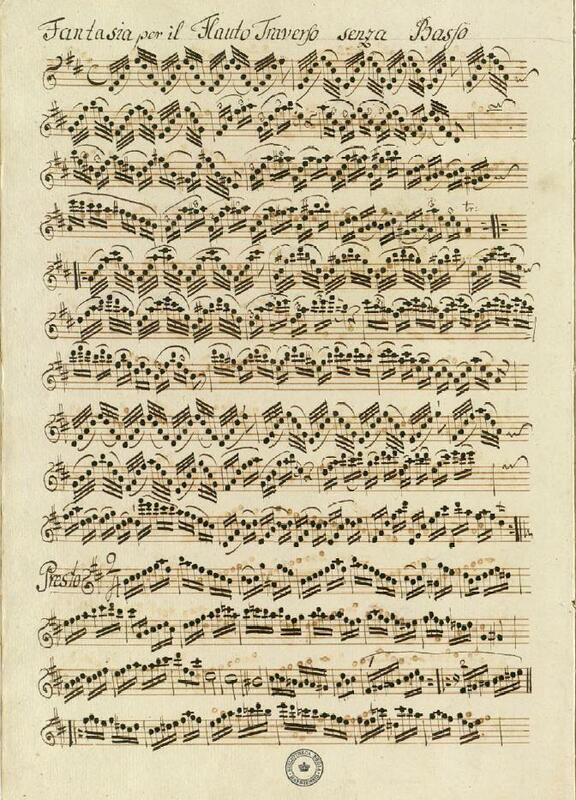 The manuscript is not in Quantz’s hand and probably stems from the circle of his pupil Augustin Neuff. 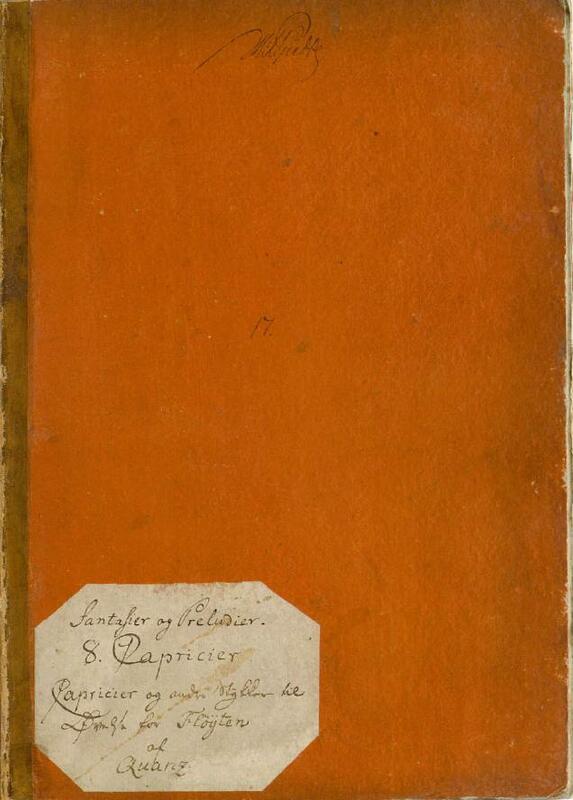 The manuscript is dated somewhere in the period 1775 -1782. Neuff was at that time flutist of the Berlin Hofkapelle. Much of the material in the manuscript dates from the 1740’s and 1750’s. The majority of the pieces in the solfeggi are drawn from actual compositions by Quantz and at least eighteen other composers, such as Telemann (most frequently cited composer other than Quantz himself). Known composers of whom material is included in the solfeggi: G. Ph. Telemann, C. Ph. E. Bach, W.F. Bach, F. Benda, J.M. Blochwitz (or Blockwitz), Döbbert, C.G. Glösch, J.G. Graun, J.A. Hasse, J. Ph. Kirnberger, A. Neuff, Ch. Nichelmann, Simonetti, G. Tartini, Wolff and G. Zarth. As far as we know the autograph of the “Solfeggi” was mentioned twice during the 18th century: in “Westphal’s Verzeichnis geschrb. Musicalien” (Hamburg 1782) and in Traeg’s Catalogue (Vienna 1799). Not much later it came into the possession of H.R.R. Giedde (1756 – 1816). After his death it remained, with numerous other manuscrips, in the Christiansborg Castle (Denmark) for almost a hundred years. In 1903 it entered the Royal Library in Copenhagen (Source: Solfeggi par Monsr. Quantz – Amadeus Verlag Bernhard Päuler – Winterthur/Scheitz, 1978). 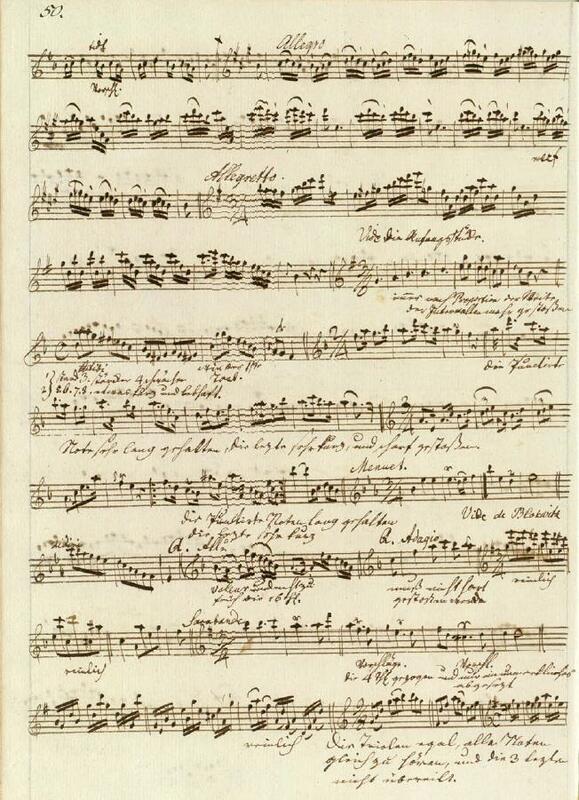 The manuscript “Fantasier og Preludier” contains an important collection of Quantz’s unaccompanied fantasias, capricci and other works for flute. It contains also pieces by Johann Martin Blochwitz, who was flute player in Dresden, and Jean Daniel Braun, a German flute player who lived in Paris. The pieces by Quantz are written in a virtuosic style while the pieces of Blochwitz recall Bach’s writing for flute in the solo BWV 1013. (Source: “The Flute” by Ardell Powell. Yale University Press, New Haven, London, 2002) .